From my earliest memories of reading farm magazines and attending cattle management conferences or seminars until now, there have been many ideas and opinions about how to develop and select replacement heifers. I am about to offer a perspective that will differ from most of what you have heard or read during these many years. I have interspersed much of it in these articles during my time as a writer. Now I will try to put it in this one piece. Heifer development not only can be, but should be much simpler than we typically make it. Selection and development go hand in hand. They facilitate each other. Most of you, because of “expert” advice you have received, have been over-developing your heifers. You have selected the biggest and prettiest heifers based on biased and subjective criteria. I want to suggest that you change that approach. You will need to start where you are with the cattle that you have; so most of you will want to take a few years to get to the point I suggest. Each step will tell you how big the next step may be. I think nearly every herd has some good cows. My definition of good—those that get pregnant, deliver and raise a good, not necessarily excellent, calf every year without you ever touching them except for routine immunizations. The rest are inferior. In the long run, you want those cows to be the mothers of your replacement heifers; so raise more of them. How do you do it? You keep nearly all of your heifer calves. You only remove the few that are obviously challenged or inferior. This will usually be less than 5% (maybe not at first, but keep most of them). You then shorten the heifer breeding season as fast as you dare until your bull and/or AI exposure is not more than 30 days, ideally 24. If you have calving dates from previous years, you can see what percentage bred in 24, 45 or 65 days and can get an idea of how many days to expose this larger group of heifers. Because you will be keeping some later-born heifers and not developing them to gain as rapidly in addition to shortening the breeding season, you will need to expect a lower conception rate. Now, instead of trying to get the heifers to 65% of expected mature cow weight, 55% will be enough. You may want to take a couple of years to get to that point. However, many have done it quickly. I hope you see how this more moderate or “minimal” development plays into heifer selection. With less input and size, the ones that conceive in a short season are truly the good heifers. They are more closely adapted to your environment. I won’t be breeding the best heifers. You don’t know which ones are the best. Let the bulls and the environment tell you which ones are best. They are the ones that get pregnant. There are very few, if any, people that can look and tell which ones will breed. I don’t want to keep that many heifers. Why not? Yearling operations are usually more profitable than cow-calf operations; and you should winter these calves like stockers going to grass. The only added expense is use of the bulls or AI.Open heifers should be nicely profitable. Many people are hesitant to keep more heifers because of the cost of development. If the cost of development is high, that is a problem; and unless you can change that, you shouldn’t be raising your own replacements. Don’t tell me that you need to develop your own heifers because they are better. If they were better, you could get a good breeding rate with less development cost. The added value of yearling heifers should be significantly more than the added cost. I would like to use the genomic tools to evaluate the heifers before breeding them. Why? Those tools might give you some genetic tendency information, but it won’t tell you which ones will get pregnant in the first 24 days. The bulls will.The average heifer calving in the second cycle cannot live long enough for her lifetime production to catch up with the heifers that calve in the first cycle regardless of other genetic differences. That heifer’s mother isn’t good enough to keep the daughter as a replacement. You are selling the wrong one. Sell the mother. If you are using good maternal bulls, the heifer calf should have a good chance of being better than her mother. If you are not using good maternal bulls, you need to find them or raise them or become a terminal breeder. I might soon have more pregnant heifers than I need. Good. Now you have a marketing opportunity. You may sell the excess bred heifers. Or my recommendation is to keep the bred heifers and sell enough late bred cows to make room for the heifers that are going to calve early.Many areas have buyers for cows bred to calve later than your calving season. Also, as you remove late-bred cows, your calving season will get shorter and the latest born heifer calves will be older and more likely to breed. You can see how the positive effects begin to multiply. I don’t think those “underdeveloped” heifers will make good cows. Research done by Rick Funston at the University of Nebraska and Andy Roberts at the Land and Range Research Station in Miles City, Mont., plus a bunch of personal practical experience says that they will make better cows than the ones I am calling “over-developed.”If you want to help them along a little, do it from the time they are diagnosed pregnant as a yearling until they are checked pregnant as a 2-year old. That is the most difficult 12-month period of her life. You would much rather sell an open yearling than an open 2-year-old. When you start putting many heifers into your herd that will all calve early in the calving season, you will soon be able to shorten the cow calving season by removing late bred (less efficient and less adapted) cows. As your calving season gets shorter, the latest born heifer calves will be older and more likely to breed. Weaning weights will also increase. 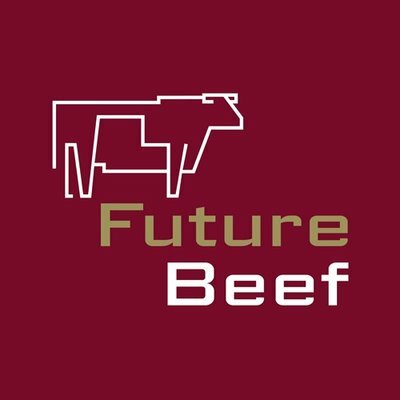 In future years, more and more heifers should be eligible breeders. As more of these heifers come into your herd, you will be able to remove the less desirable cows. Soon you will get by with less supplemental feed and have an increased level of herd health. New marketing opportunities will show up. 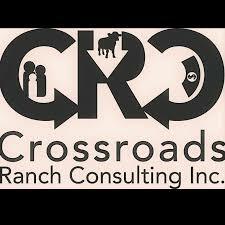 Remember the ranchers who are terminal crossing or should be. They need your excess cows. Even though the late calving cows are a little inferior for you, they could work very well for the terminal breeders, especially after a few years into your program. Two more points: I am convinced that the heritability of fertility, under minimal heifer development and reduced cow herd inputs, is significantly higher than the estimates of low heritability that we usually hear. You need to buy or raise bulls that will not undo what you are trying to accomplish with your heifer development and cow culling. Production medicine—melding animal health and veterinary care into animal production management—is beyond infancy, but it’s far from losing all its teeth. Though Dr. Engelken sees slow, steady growth over time, it seems acceptance and use of production medicine is scattered, more client-dependent than size-dependent. In California, for instance, John Maas, DVM, Extension Veterinarian at the University of California-Davis says it’s a mixed bag. There are progressive practitioners working with progressive cow-calf producers to improve profit potential. There are also producers who view veterinarians as folks who douse emergencies, and veterinarians content to provide only those fire-engine practice kinds of services. “It’s been one of those things you would think common sense and good business suggest we would have evolved to by now,” Dr. Maas says. Figuring out the business model of providing production medicine services continues to stall some. As for W. Mark Hilton, DVM, it’s impossible to think about production management without considering the animal health side of it and vice versa. Dr. Hilton is a clinical professor in food animal production medicine at Purdue University. He also founded and owns Midwest Beef Cattle Consultants, which many regard as a poster child for how to work with clients in partnership rather than a buyer and seller of specific services. In that effort, Dr. Hilton encourages veterinarians to focus on four production goals: decrease production cost; increase the value of production sold; doing both of these with less labor; and maintain or enhance animal welfare. “I’m a fan of individual cow records,” Dr. Hilton says. “Producers are surprised how consistent individual cow production is from year to year.” With records, clients can see that a cow weaning a calf 25 percent lighter than the herd average this year will likely produce one of similar caliber next year, and the year after. Dr. Engelken points out that the records portion of cow-calf enterprises is less standardized and more challenging to ferret out than in other sectors like feedlots, stocker operations, dairy and swine. The next step is at least as essential. Any area of production that drives a substantial amount of production output or input invites examination. For Dr. Engelken, three key areas jump to mind: data based evaluation and the benchmarking of reproductive performance over time; nutritional management to control the cost of supplemental feed; herd health design and maintenance. Wrap it all together and Dr. Engelken says, “In our case, we continue to be involved in nutritional management, ration analysis, electronic record keeping, and evaluating reproductive performance. We also spend a fair amount of time evaluating options for our clients and using partial budgets to play ‘what if’ games and look at alternatives. As mentioned at the outset, producers of a particular size or in a particular part of the world aren’t necessarily more or less likely to be interested in a production medicine relationship. But there are indicators. When Dr. Engelken was on faculty at Mississippi State University, he worked with folks in the agricultural economics department to survey beef producers in the state. The aim was trying to identify practices, demographics and characteristics that defined various levels of management. “Obviously herd size made an impact. The larger the herd, the more time the producer devoted to herd management. These producers also utilized their veterinarian more often,” Dr. Engelken explains. 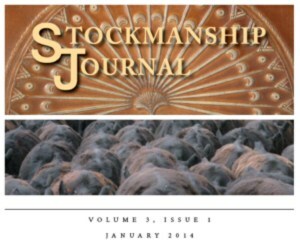 “However, factors such as client age, education level, the number of extension meetings attended, serving as an officer for a cattlemen’s group and participation in seedstock production affected their level of herd management, as well as how they interacted with their veterinarian. “That is a point that I try to drive into our students: If you want to come into contact with producers who would be willing to use consultation services, then you need to understand the characteristics of those producers. Our graduate veterinarians need to be involved with the local cattlemen’s groups, extension programs, as well as organized veterinary medicine. They need to be able to identify larger operations (especially seedstock) that are being operated by younger individuals who have an animal science or ag economics degree. Conversely, Dr. Maas believes veterinarians willing to proactively forge new relationships and strengthen existing ones tend to have the most success providing consulting that goes beyond fixing problems. “Clients call to ask questions. That’s the point at which veterinarians need to begin relationships,” Dr. Maas believes. “Maybe someone calls to ask about a particular vaccine. Also tell them how to handle it and how it should be administered. Ask them if they’re BQA certified.” Dr. Maas says. Some will grab the invitation immediately and do their part to establish the relationship. Others never will. “Dedication to relationship is the important thing,” Dr. Maas says. A common characteristic Dr. Maas notes in the practitioners involved in these kinds of relationships is their passion for sharing information. “These veterinarians are educators. They love what they’re doing. They love to educate, to teach, and they don’t feel like they have to do everything themselves. They’re happy to share their knowledge and don’t feel like they have secrets to guard,” Dr. Maas says. For example, maybe the client says winter feed costs have gotten out of control. Even if you don’t feel like you have the nutritional expertise to solve the problem, Dr. Hilton stresses you know folks who can. At the same time, don’t sell yourself short. Incidentally, Dr. Daly sees genomics as an area where there is currently a void of understanding that veterinarians could help clients bridge. None of this works, of course, unless veterinarians are paid enough to make production medicine worth their while. As alluded to earlier, some folks feel uncomfortable charging for information they’ve likely given away in the past. Plus, it can be difficult for producers to assign value to information when it seems to be everywhere for free. One step Dr. Daly sees some veterinarians making in such a transition is charging clients by the hour rather than for providing a particular service. That’s how Dr. Hilton has long charged clients. Rather than be tempted to try selling a client another product or service, by charging hourly, Dr. Hilton says you can try to talk them out of buying things to save money and add value. Of course, there are few buyers for anything that dampens rather than grows the bottom line. “In consulting, the goal is to always give the client value for the money they spend. If I charge someone $1,000 for consulting and it saves him $5,000, that is a win-win. If I charge $6,000 for that same result it is win-lose and the client will never spend money with me on consulting again,” Dr. Hilton says. The program Dr. Hilton is referring to is the Total Beef Herd Health Program (TBHHP). He began it in 1988 when he started Midwest Beef Cattle Consultants. The program cornerstones are herd health, records, fertility, environment, marketing, genetics and nutrition. Back to the beginning of the program. Vets host an annual calving clinic to remind clients about when to call for assistance(progress every hour), what supplies they should have on hand, and provide a review of techniques on how to assist in delivery. Clinics help clients precondition calves with a uniform health program, then sort them into uniform load lots so client calves command higher prices. Vets assist cow-calf owners in formulating rations, utilizing corn and soybean coproducts to stretch winter feed resources and save significant money on winter cow feeding. One vet organized some of his very best client herds to sell bred replacement females. After pregnancy check, the secretary at the clinic records all data in a spreadsheet and provides this to producers looking for heifers. The spreadsheet gets updated throughout the fall and winter as heifers are sold and others are added to the for sale list. The producer who received the lousy price contacted the veterinarian. The veterinarian stopped by to see the calves and called two buyers. The producer received a price he felt his calves merited. Dr. Hilton asks students the most effective way to have success with clients in the future. He tells them it’s having success with clients today. Moreover, Dr. Hilton emphasizes clients must drive. Though none of this is necessarily quick or easy, Dr. Hilton emphasizes that’s it’s not complicated. Cow and calf sizes: A lesson in basic cow economics…. 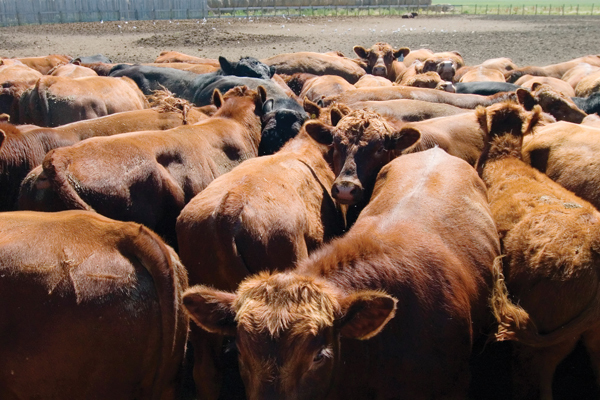 A big question for many cattle producers is how to make their operation more profitable. “Cow-calf producers tend to operate on a fixed land/feed base associated with a substantial overhead cost in annual rents and finance payments,” says John Dhuyvetter, North Dakota State University (NDSU) Extension livestock systems specialist at the North Central Research Extension Center near Minot. Key profitability drivers are the production of as many pounds of calf as possible to sell off the resource (land/feed) and capturing favorable market prices, he notes. Factors that contribute to the pounds produced are the calf crop percentage (low calf losses equate to more calves to sell), cow longevity (lower heifer retention equals more producing cows), calf weights (which are a function of genetics, age, and nutrition), and stocking rate. For the operation to be sustainable, the forage resource is limited in pounds and the animals it can support. 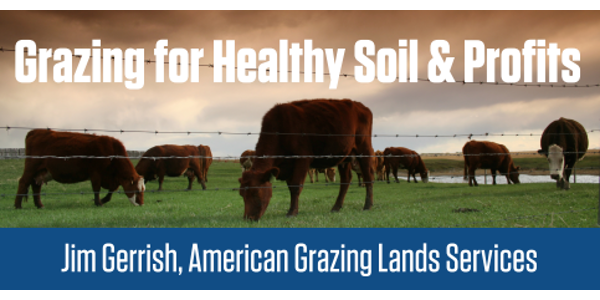 Opportunities are available to enhance production through grazing systems and management that improves soil and moisture retention. However, while simply overstocking and overutilization may improve output in the short term, they likely will diminish output through time. On a fully utilized land/feed resource, even selecting cows for added calf growth and weaning weights likely will not improve profitability. “From a feed equivalency standpoint, differing numbers of cows of varied sizes weaning calves of different sizes generate the same market weight,” Dhuyvetter says. For example, 88 frame score 4 cows each weighing 1,200 pounds and weaning 550-pound steer calves at seven months have roughly the same feed need and generate the same market weight as 75 frame score 7 cows each weighing 1,500 pounds and weaning 650-pound steer calves. The feed needs are similar for 83 frame score 5 cows each weighing 1,300 pounds and weaning 585-pound steer calves, and 79 frame score 6 cows each weighing 1,400 pounds and weaning 620-pound steer calves. With selection for higher milk production, which may increase weaning weight, stocking rates will be reduced further. “If reproduction, calving loss, culling rate, and market price are the same, there is no advantage to any size group,” Dhuyvetter says. The market generally slides prices, paying more per pound for lighter calves; however, this may not reflect true value differences for some heavier calves capable of greater feeding efficiency and carcass value, he notes. That being the case, somewhat smaller calves appear to be favored until calf prices become discounted. Along with the consideration of cow and feeder calf size is the potential value of the terminal crossing of larger sires with moderately smaller cows to maintain high cow numbers capable of producing greater weaning weight of greater market preference. An example is mating bulls with acceptable calving ease scores and a frame score of 6 to frame score 4 cows and providing supplemental feed (creep) if necessary to add growth. “Decades of selection for greater growth and size have been associated with improved efficiencies in the feedlot and packing sectors,” Dhuyvetter says. “It also has resulted in larger, more productive cow types on the ranch, which may or may not be more efficient. “Cow requirements need to be matched to and met by ranch resources to avoid costly excessive inputs,” he adds. A lot of producers look forward to weaning with nothing but dread because it’s so often a bad experience for them, their cows and sometimes their facilities. Many producers can tell stories about their corrals being torn down by the cows postweaning, and not being able to sleep for three or four nights after weaning due to bawling cows and calves. Also, weaning can be an extremely high-stress experience for calves and the short-term effect on health and performance can be significant. For example, the stress of abrupt weaning increases fatal secondary bacterial respiratory infections and average daily gains can be seriously compromised. The conventional belief is weaning is a difficult, traumatic experience, and the cows and calves are going to want to get back together. Therefore, we need to do it in a sturdy corral. And here’s the irony: If we believe that’s the way it’s going to be it probably will; it all starts with our mindset. Prior to weaning, pour the cattle back and forth several times to prepare them for the weaning. Weaning can be done low stress, but it takes a different mindset. The low-stress belief is that weaning is only traumatic and stressful because we make it so. If left alone, cows will wean their calves naturally and with no fuss and no postweaning sickness or weight loss. They are also more than likely happy to be rid of their 6- to 8-month-old 500-lb. to 600-lb. calves. And that’s the way it should be when we do it. The problem is, we get the animals out of a normal frame of mind and end up causing all the problems we normally experience with weaning. The cows’ concern is us, not necessarily the weaning. 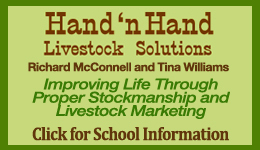 If the cattle are always handled well, they learn to trust their handlers and they know their calves aren’t in danger. So, low-stress weaning—regardless of how we do it—begins with how we gather and bring in the cattle. If we don’t do it properly, the cows and their calves are unmothered and in panic mode before we even have them in the corral. But if we bring them in calmly and mothered up, the actual weaning process is rather uneventful. A particular form of low-stress weaning involves weaning through a gate between two pastures. The idea is to calmly separate pairs at the gate so they never lose sight of each other or, if they do, they can quickly find each other across the fence. With this approach the emotional trauma of complete separation is mitigated. A three-year study compared the behavior and postweaning performance of calves that were: not weaned (the control group), fence-line weaned and abruptly weaned. The fence-line-weaned calves exhibited similar behavior to the non-weaned calves and they spent more time eating than the calves that were abruptly weaned. They also gained 50% more weight during the first two weeks after weaning. In general, everything we do with our cattle that we’ve been talking about in this stockmanship series will train more manageable animals that will help in the weaning process. Of particular importance is training your cattle to calmly walk past a handler at a gate. If you don’t do this, then fence-line weaning will likely be difficult at best. You need two pastures, each with enough forage to last at least seven days. Keep the cattle in the pasture where the calves will stay for several days prior to weaning so they get used to their new home. Prior to weaning, pour the cattle back and forth several times to prepare them for the weaning (Figure A). If your cattle are accustomed to walking calmly past a handler at a gate you might only have to do this exercise once. However, if they are not, you might have to repeat this several times over successive days until they understand the process. Gather cattle loosely near the gate. The sorter opens the gate and draws the cattle to him (See photo A). One or more handlers can keep a slow, steady stream of pairs walking to the gate (See Photo B). The sorter makes the split at the gate (Photo C). If you make a mistake (e.g., a calf gets through the gate) resist the temptation to fix it because that will unnecessarily stir everything up; rather, wait a few days postweaning and go straighten it out. Going through these preparatory steps is important. If you don’t follow protocol, you are inviting a wreck. For instance, one rancher fence-line weaned across a page wire electric fence, and the cows tore down a couple hundred feet of the fencing because he didn’t go through these steps. If done properly, however, cattle have been weaned across a single-strand electric fence. If protocol is followed, weaning should be a non-event for the cattle as illustrated in Photos D and E. Photo D was taken down the fence line (the sorting gate is in the foreground) later on weaning day. As depicted, all the cows and calves are out grazing and nothing is hanging on the fence. Photo E was taken the next day. Some cows and calves have returned to the fence but nothing is balled up on the fence, and there was no bawling. Many ranchers have ways to load cattle into a stock trailer, but if they send calves or cull cows on a cattle truck or semi they need a loading chute. A good chute makes it easy to load or unload cattle, and is easy for the trucker to get to and away from. Rusty Hamilton (Salmon, Idaho) hauls cattle all over the West and has loaded or unloaded at thousands of chutes—at ranch headquarters, sale barns, feedlots and more. Some chutes work better than others. “For the floor, many people use wood (with cleats) or dirt and those give good traction for the cattle. I’ve loaded and unloaded at chutes with expanded metal flooring and I don’t like those; even though they are easier to keep clean because manure falls through, I don’t like an open floor because cattle can look down through it and this can spook them,” he explains. Angle is also important. “The ramp needs to be at least 10 to 12 feet long but doesn’t have to be much longer, because you are only going from ground level up to 36 to 48 inches to get into the truck or cattle trailer. I’ve loaded cattle up some 6 foot ramps, however, and they will do it but it’s a pain; some of them balk if it’s that steep,” says Hamilton. Width is also important. You don’t want a chute too narrow for big cattle, but you don’t want it so wide that smaller cattle try to turn around. “About 30 to 36 inches is probably as wide as you want it. This may be a little tight for a big bull, but for cows and calves it works pretty well,” he says. Hamilton has a couple of tips for what not to do when building a loading chute. “Don’t build it inside a corral. That’s fine when the corrals are dry, but in winter or spring it gets muddy and slick (or boggy) and hard for trucks to get in and out.” The space for maneuvering a big truck may be limited unless the corral is large. “Don’t put a loading chute alley on the same alley where cattle are moved toward the squeeze chute. Some people do that to save space, but the cows don’t want to go that direction and tend to balk when you try to load them. They associate it with the working chute,” says Hamilton. You want a good corral design for getting cattle sorted and moved into a loading chute. Sometimes pens are awkward for loading. “I recommend at least a couple gates in the alleyway, and a gate near the bottom of the loading chute, so you can close it off. Then if a few cattle come out you are not unloading the whole load,” he says. “Make the sides of the loading chute solid (wood or metal), so cattle can’t see through it as they go up the ramp. It’s just like a working chute; if they can’t see out they tend to go better without balking at something they see off to the side, and they’ll follow the cow ahead of them. If you put a slight turn to the alley leading to the ramp, this is better than a straight chute because they don’t see what’s happening at the truck and tend to just follow the cow ahead because they think they are getting away,” he explains. He also recommends having a walkway up the loading chute so people can go along it if necessary, to encourage a reluctant animal. “I would also put a gate at the top so a person can come out of the loading chute (after following a bunch of calves, for instance), and walk back down the walkway. If the chute has solid sides it is really hard to climb out; you need a gate to go in and out of the truck or chute,” he says. RANCHER PERSEPECTIVE – Reuben Olson, who ranches near Prairie City, South Dakota, has several loading chutes, but his main chute is made of wood. “It is not very steep; it is 16 feet long. We have a lift on it so we can adjust the height. We can drop it down to load a stock trailer and raise it to various heights to load different size trucks. It is about 3 feet wide, with solid sides. Cattle will go up the chute a lot better if they can’t see through the side or the bottom; there’s nothing spooky to distract them on the outside. “I talked with one guy who built his ramp in stair-step fashion–like going up short little steps, and the cattle go up it very well, and it isn’t at all slippery,” says Olson. Some people build up an area for the chute (or have trucks coming to it on a lower level) so the floor is dirt or gravel rather than having a ramp. “Many sale barns have a chute with dirt floor and this is good footing. The cattle don’t have to go up a ramp; they walk straight onto the truck on the same level. I think that would be ideal,” he says. Holding pens behind the chute should be user-friendly, to get the cattle in. “If the loading chute is next to the gate where they ordinarily go out of the corral, you can line up the pens so cattle are moving in a circle and know this is the direction to go out of the corral. If they always go out that corner, they naturally want to go that way,” he explains. Brian Glass and Kent Wilkinson, also of Prairie City, built two loading chutes in Glass’s shop last winter out of steel. One of the biggest challenges was moving the heavy chute outside and into place. The quarter-inch plate for the ramp was heavy and awkward to handle but made a solid, durable floor. “We used old steel posts that were bent or too short for cattle fences as treads for the floor,” says Glass. These were welded onto the metal plate, for traction. Eventually he plans to make a small ramp for the trailer-loading chute so calves can step right into the trailer and not have to jump up. The chute is 36 inches wide. “It could be a little narrower but a big bull will fit through this, and when are loading calves if one calf stops another one can go by it. The ramp is about 16 feet, but 3 feet of that is a level landing at the top. The 13 feet is a gradual incline and then there’s the flat spot where they walk into the cattle truck. I saw one like that and thought it was a good idea—so the cattle are not scrambling upward as they go into the truck,” says Glass. “I put a door so you can walk through, and not have to crawl over the solid side. I also put a door up front on the trailer side, so you can get in and out and slide the trailer gate,” he explains. The sides of the chute are 5-foot 2-inch height from floor to top. “This is the height I build free-standing panels; cattle don’t try to jump over,” says Glass. For anyone trying to build a metal chute, Wilkinson and Glass recommend making sure you have extra time, and some help to hold everything. “It’s very heavy material, and squaring up the posts on top of that pipe is tricky and you need an extra hand,” says Glass. “It was really good having the neighbors help.” Kent Wilkinson and his father Jim helped put the chutes together. Some of the angles were also tricky, but doable. “I used a plasma cutter, but mainly a chop saw. I created a saddle at the end of my pipes, to touch each other, rather than a straight cut, so there wasn’t so much gap to weld. It fits better and saves a lot of welding,” he says. “Sometimes a trucker is in a hurry or not careful when backing up and hits a chute pretty hard. The wooden ones don’t hold up very well with that kind of abuse, and they weather too much. Metal will last a lot longer,” says Wilkinson.